Hello mommies! 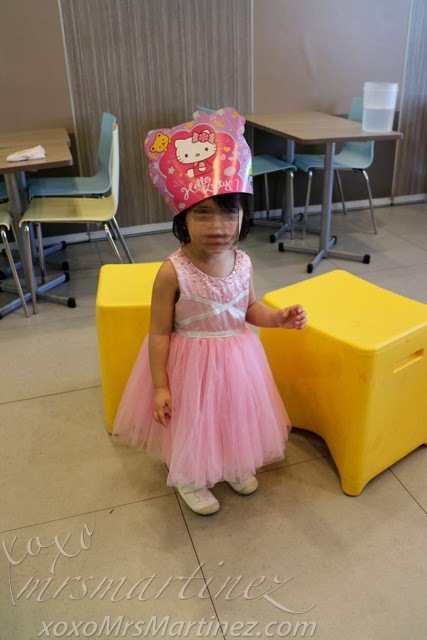 Alam ko madami ang nag-aabang ng kwento ko about my daughter's 2nd birthday party celebration held at Jollibee. 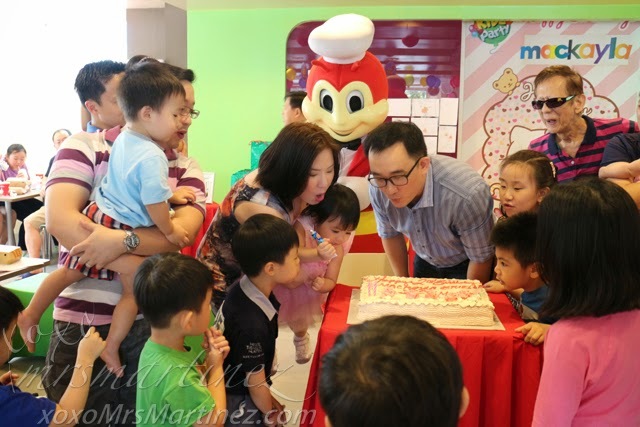 Sumakto kasi ang date ng party sa #ChickenSad happening but Jollibee handled it well, umaaapaw pa nga ang ChickenJoy sa party so everybody was happy. 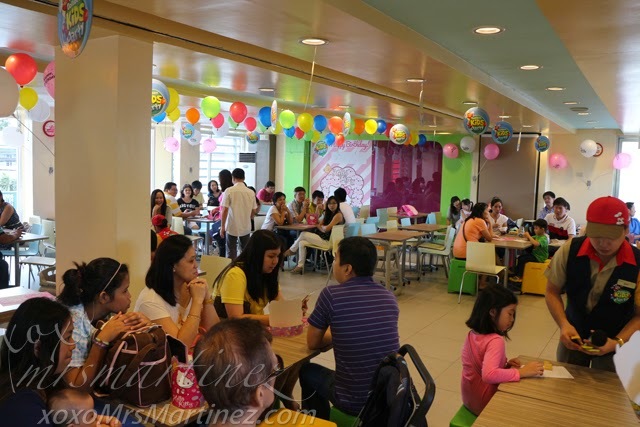 For Jollibee Kids Party package, I chose Package D. I reserved the entire second floor area. 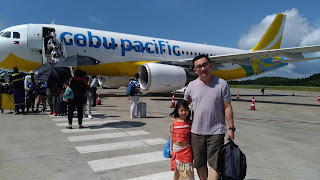 Booking the two rooms have a minimum spend requirement of PhP 23,000. When converted that will result in 111 guests. 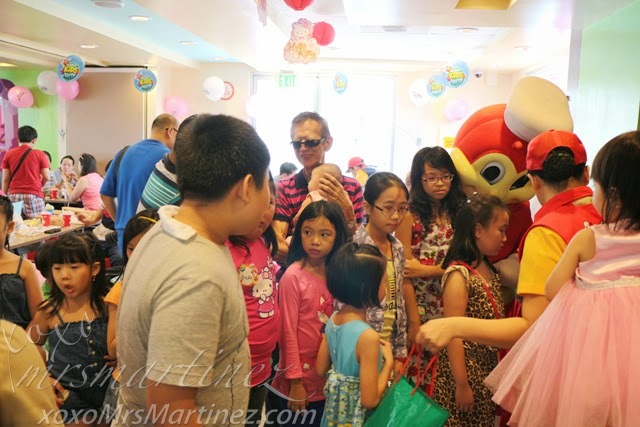 I forgot to take photos of the prizes that I bought including the ones that came from Jollibee. 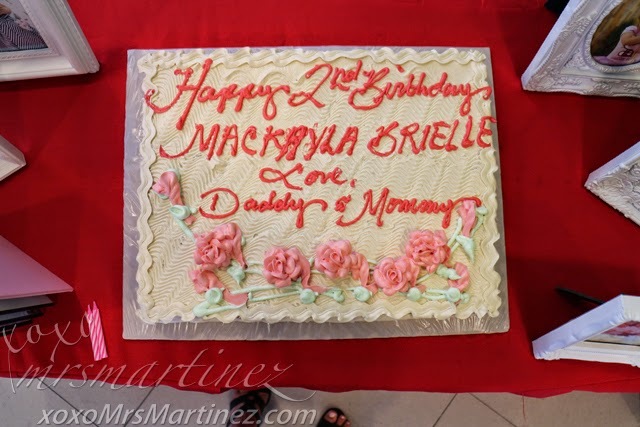 There's a separate table for it and also for the gifts. 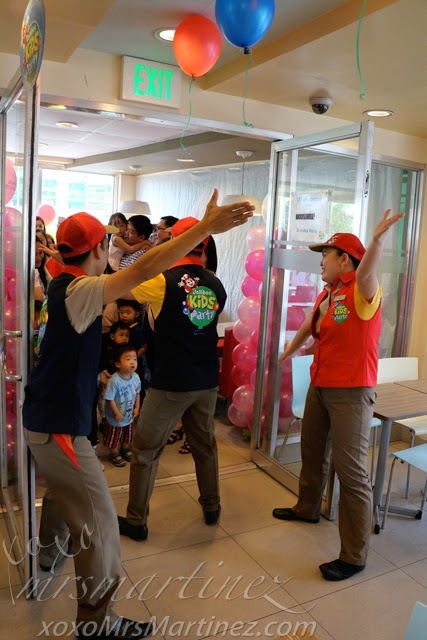 When the party was about to begin, the Jollibee Kids Party crew members asked all the guests, including us, to vacate the room. 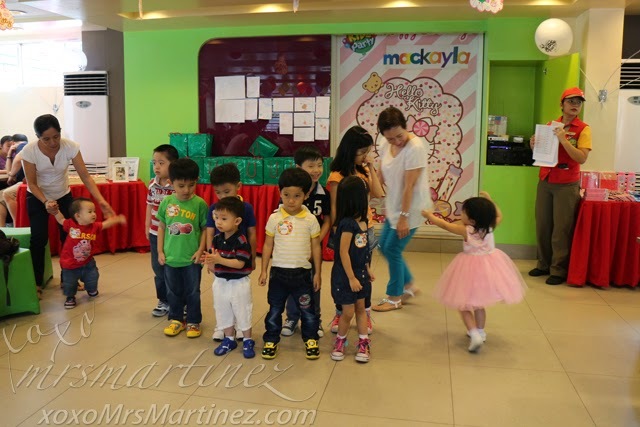 It was weird, yun pala may dance number sila to officially welcome the guests. 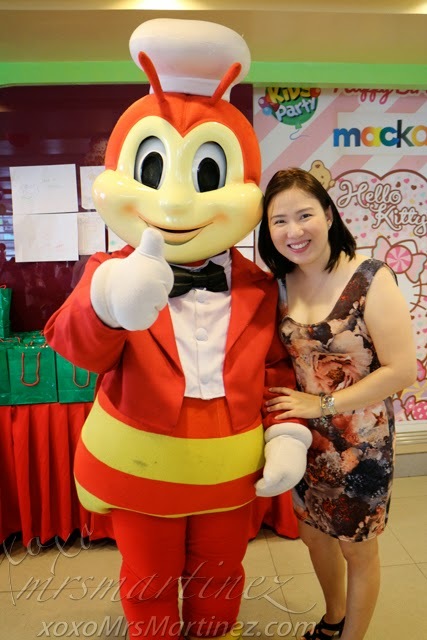 Jollibee stayed on after one dance number. He participated in candle blowing activity and also giving of loot bags! On a side note, sa dami ng prizes na binili ko for the party, nakuha pa akong bentahan ng emcee ng JKC Happy Plus Card. Ang sabi niya "Ma'am, Buy 5, Free 5! 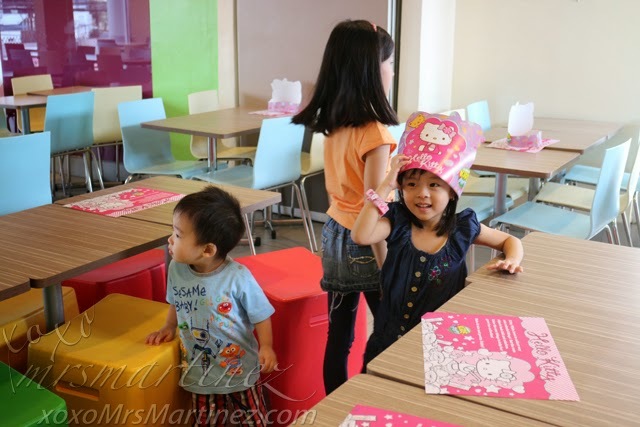 10 Happy Plus Cards na for the price of 5! You will only pay PhP 500 for 10 cards". Agree naman ang lola dahil worried na nauubsan ng prizes for my guests. Ang kalabas labasan, binawas pala nila yun PhP 500 sa softdrinks. The crew only served 145 drinks to my guests. Dapat sana the emcee did not say that it was free, be transparent. Moral lesson... If something sounds too good to be true, it probably is. Nagpa uto ang lola niyo, in short! Jollibee gave us a complimentary travel-sized pillow and a set of table and chairs. 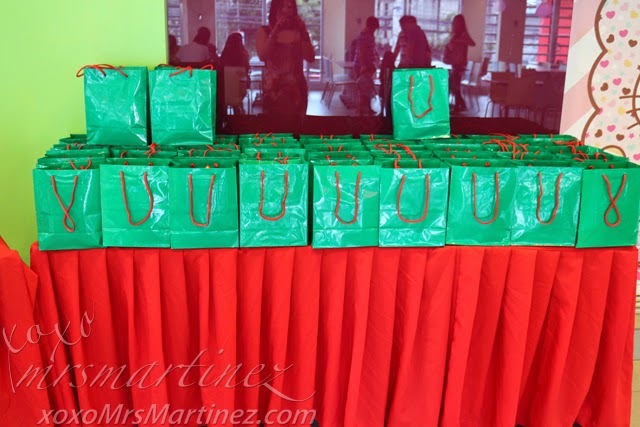 I think the gifts that you will receive depends on how much you spend on your party. 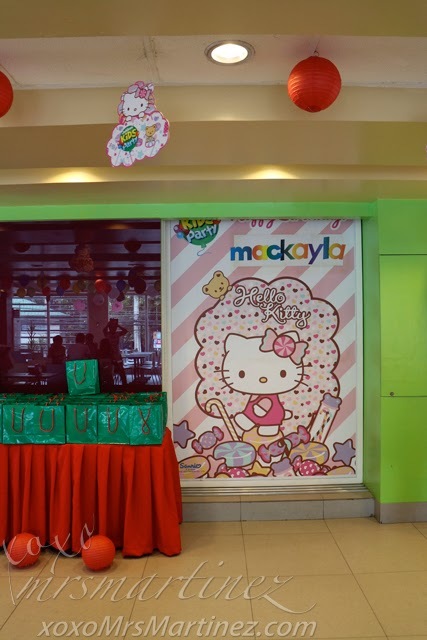 We spent a total of PhP 33, 976 for the entire party. 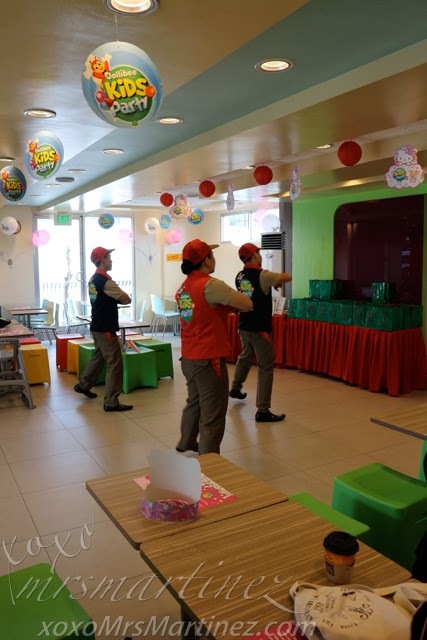 Jollibee E. Rodriguez, Quezon City 7226081/7242075 For feedback call 898 7777 or 0917 800 7000.